Property 4: IN TOWN! LARGE TERRACES & VIEWS of Vineyards & Olive Groves - Walk to Center! 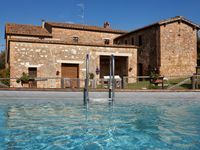 Historic House in the heart of Valdorcia near Pienza and Montepulciano. Property 23: Historic House in the heart of Valdorcia near Pienza and Montepulciano.